03/29/2018 6:00 AM by Jacob C.
Time to mark your calendars for the kick-off to summer. 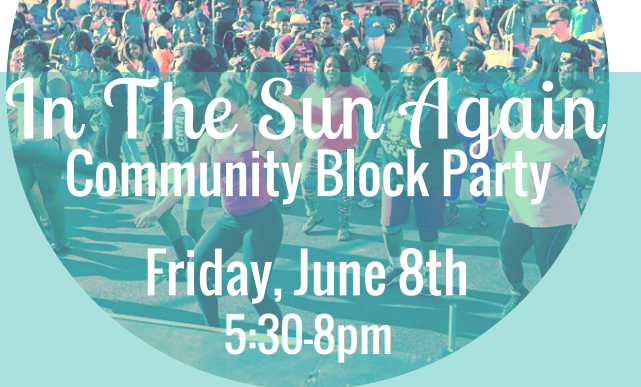 The Robinson will be hosting its annual “In the Sun Again” free community block party Friday, June 8th from 5:30-8 p.m. It’s the perfect event to celebrate the East End of RVA and highlight all the wonderful people and organizations that make-up our uniquely diverse community. Check out the flyer attached and feel free to spread the word. If just showing up is not your thing, we have other opportunities to volunteer or participate as a vendor. Please contact me if you would like to look into either of these options. We absolutely want to highlight resources and services for our community. Look forward to ushering in the summer with you!